Kenya’s director of public prosecution arrested and charged deputy Chief Justice Philomena Mwilu with abuse of office and tax evasion. She was arrested today in the premises of the Supreme Court but after the preliminary hearing, Chief magistrate Lawrence Mugambi released her on Ksh5 million bond and ordered her to appear tomorrow at 9 a.m together with her co-accused Stanley Muluvi. 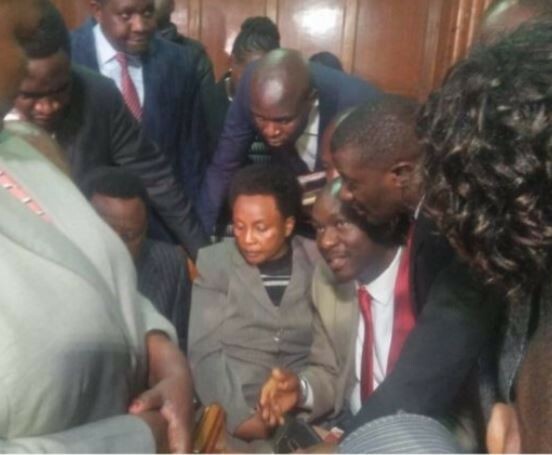 Mwilu was represented by a battery of lawyers. According to a report by The Standard, Mwilu is accused of obtaining execution of a security belonging to Imperial Bank Limited by false pretence, abusing her office for personal gain, accepting a gift in the form of money in circumstances which undermined public confidence in the integrity of her office. She is also being accused of unlawful failure to pay taxes and conducting herself in disregard of the law. Mwilu was sworn in as deputy chief justice on 28 October, 2016. She graduated from the University of Nairobi and was admitted as an advocate of the High Court of Kenya in 1984. She has 32 years’ experience in the legal profession.